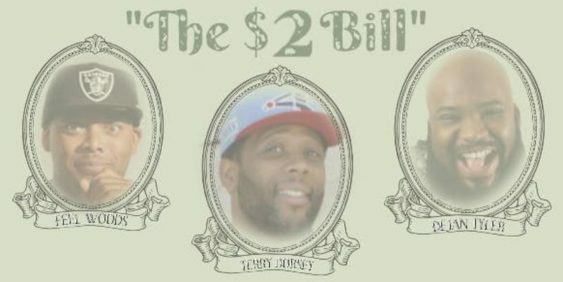 “The $2 Bill ” is a comedy show that features the funniest comics in the bay for the low low price of $2 every 4th Sunday of the month. The talent that you will se on this showcase has been featured on every major comedy stage in Northern California including: Improv San Jose, Cobb’s Comedy Club, Punchline SF, Punchline SAC, Tommy T’s, Rooster T Feathers and more. This is a rare comedy show that has just 3 comics giving you there feature length sets. All of these comics have feat for various comedy greats over the years including: Gilbert Godfrey, Hannibal Buress, Godfrey, DeRay David, Deon Cole and the list goes on. Come and find out why some of the best in the business choose these guys and why you should catch them now before they are at your local club for waaaay more than just $2. Seating is limited so please arrive early as it is first come first serve. This is a 21+ event, valid ID required. No drink minimum but comedy is best enjoyed with friends and a few drinks.